Monthly users fell again in the third quarter but ad revenue surged, helping the $21 bln company led by Jack Dorsey top expectations. Similar trends three months ago caused a selloff; this time, Twitter’s stock soared. Keeping this version of the meme going is Dorsey’s priority. 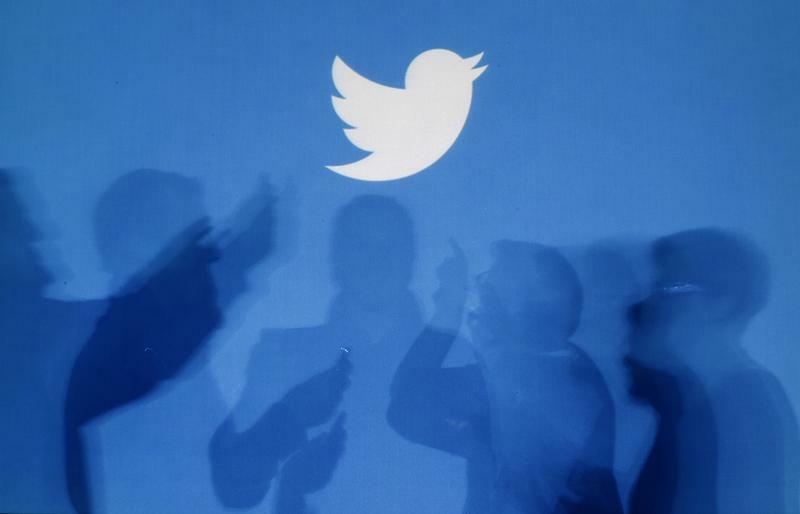 The shadows of people holding mobile phones are cast onto a backdrop projected with the Twitter logo in this illustration picture taken in Warsaw September 27, 2013. Twitter posted third-quarter revenue and profit that exceeded Wall Street estimates on Oct. 25, as higher advertising sales offset a drop in monthly users. The company’s shares were up more than 10 percent before the opening bell. Quarterly advertising revenue jumped 29 percent from a year earlier to $650 million, while overall sales rose by the same percentage to $758 million. Adjusted profit for the quarter was $163 million, or 21 cents a share, compared with an average forecast by analysts of 14 cents, according to Refinitiv I/B/E/S. Monthly active users fell to 326 million, down 4 million from a year earlier and 9 million fewer than in the prior quarter. Daily average users rose 9 percent year-on-year, according to Twitter, which does not disclose the underlying number of daily users.